Can HTC's new handsets save the day? Taiwanese manufacturer HTC could be in a spot of bother after its October financial results revealed a massive drop in revenue. HTC's unaudited report for October 2012 confirmed revenue for the month was NT$17.2bn (around £368m/$588m/AU$564), down a huge 60% on the same period last year, when revenue hit NT$44.1bn (around £938m/$1.5bn/AU$1.4bn). 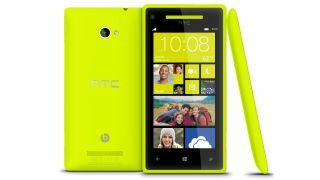 There's no detail from the firm on why it has suffered such a blow, but we suspect consumers may have been holding out for HTC's Windows Phone 8 offerings and One X upgrade. As we roll into November HTC has three new products on the global market, the Android Jelly Bean-toting HTC One X+ and its WP 8 devices, the HTC 8X and HTC 8S. Fingers will be tightly crossed over in Taiwan, as HTC hopes that its new smartphones manage to make a big enough splash in the busy Christmas period and get the company back on track by the end of the year. HTC has struggled to keep up with the likes of the Samsung Galaxy S3 and iPhone 5 over the past year, with profit margins tightening and sales falling – fans will be hoping it can turn things around in 2013. We've contacted HTC for a comment on this news, and we'll update the article if we hear back.